Make money online term is gaining a lot of momentum these days. People believve that making money online is more comfortable than their working in shifts. They will be able to make big money in short span of time without putting a lot of hard work. I would like to tell you guys that there are many ways of making money online. But it’s not a quick source of making money. Making money online needs patience, skills, and efforts. If you have these then it is easy for you to put all the hard work. This article will help you find more. Here in this article, I’m going to share some most popular and legit ways to make money online. These are the ways where without investing any money in spending a minimal amount of money you can earn money online. Being honest, I’ll say that there are hundreds of ways to make money online. Most of them are part-time. Here I’m going to share some ideas which can be relied forever upon. Remember: There is only one condition that you are ready to put a lot of hard work of that. Affiliate Marketing is one of the most reliable sources of making money online. 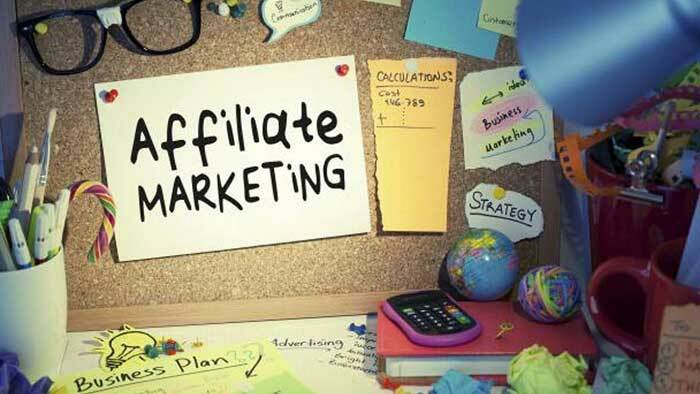 So, what is affiliate marketing? Affiliate marketing means to promote a particular product through your blog or other social media presence like Facebook, Twitter, YouTube, etc. You can get a commission on every sale transacted from your platform. It is considered to be the safest way to make money online. There are hundreds of different platforms which support affiliate marketing and provides you free link and registration to get started. There is always a need for unique and appealing content. Bloggers and webmasters are always looking for great content writers who can write appropriate articles on different topics. You can get paid a handsome amount of money by providing useful content to professionals. To make content writing your profession, you have to first master one niche and then gather more and more information about it to share with other bloggers. Your style of writing and appeal of your content decides the money you can get for one article. As my personal experiences are concerned once you master a particular niche and start content writing, you can make a way lot more money than your regular job. Writing sponsored or paid posts can also help you to earn a lot of money. To do that you need a blog with decent traffic if you own one then you can write sponsored articles or reviews about different products and services. Join Famebit. The community will help you to connect with people who can provide you such content. The Famebit service is completely free and already gained fame for providing the service without any hassle. As far receiving products and services is concerned you can also do it with a YouTube channel having a decent amount of subscribers, that can also let you make a lot of money. If you have great writing skills then you can write guest posts for bloggers which can make a lot for money for you. Guest posts are often demanded by bloggers who are in need of quality content. If your content is simply up to the mark then you can get paid a fortune for your writing skills. It can be also useful if you want to increase traffic and recognition of your blog by receiving backlinks which can add extra traffic to your blog. If you’ve got blog receiving a decent or massive amount of traffic than you can use it to earn some extra cash. You can provide backlinks to other bloggers. If you link there post to your post through a backlink than the receiver of backlink can add some traffic to his/her blog. You can charge a lot of money for a single backlink, but the money you make for you back links grossly depends on the traffic your blog receives. If you have a massive amount of traffic, for instance, your blog receives 10k to 15k views per day than the least amount you can charge for a backlink can reach up to thousands. Make quality videos and upload them to your YouTube channel. Create a YouTube channel activate the ads service on your channel and then start uploading videos. This method is already very popular and tried by millions of people, but most them miserably fails, the reason is the same, patience. YouTube can help you make a lot of money and fame, but you have to always unique about the content you upload and share with your subscribers. Hey, guys! Nice blog post! I want to share my experience – there are webmasters who get less than 10 000 visits to their blog per month but they are selling backlinks and they’re selling a lot! Not to mention all these PBN webmasters who sell links in blogs that have no traffic at all! By the way, I’ve just published an article on How to Make Money Online – https://digitalnovas.com/make-money-online/ You may want to check it out? Thank you so much for your guidance. This is very helpful article to all person who are want to earn from online. Realy very thanks for share this kind of articles. Great post… I believed in my own opinion, affiliate marketing and content writing is the way to go. These are one of the ways for one to make money online fast. I called them passive income. 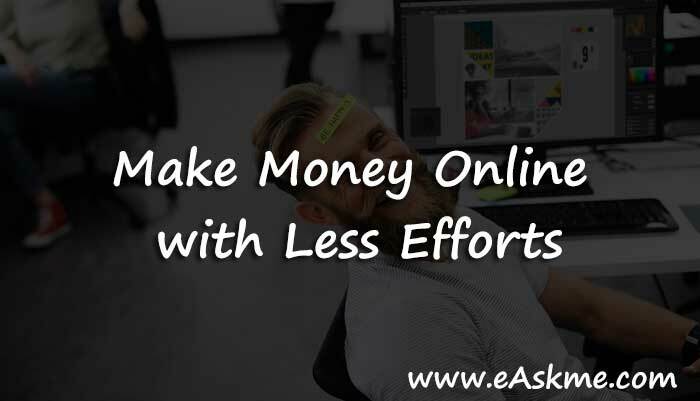 The reason been that if you have great product to promote as an affiliate which have recurring payments, At the end of the day you would find out that it’s the easiest way to really build true wealth online. Woah! I’m really digging the template/theme of this site. It’s simple, yet effective. A lot of times it’s tough to get that “perfect balance” between user friendliness and appearance. I must say you have done a superb job with this. Also, the blog loads extremely quick for me on Opera. Superb Blog! Great list. I’ll probably go for content writing work or selling things online, it’s one the best way to go for. Anyways, thank you for sharing this. Cheers! I think that at the beginning we still have to work at least for the first 6 months. It’s just about how quickly you can attract the target customers.